The quintessential tank bag for any sport bike, its low profile stays out of your way yet packs all of the essentials for a day in the saddle. Lost? The cell phone holder is now located at the top of the bag for easier viewing while riding-perfect for following directions on your phone. Magnets are built into the bag and straps are also included making any type of tank useable. Strap Mount: 11”L x 6.5”W x 2”H. • Convenient, low profile tank bag that easily carries small essential items. • Ventilated media pocket accommodates devices up to 6"L x 3.5"W x 1.5"H.
• 1600 denier ballistic nylon outer shell with 600 denier Carbolex® interior lining. 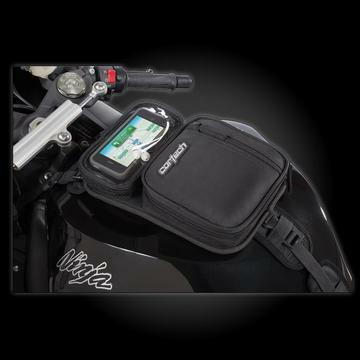 • Media pocket and internal padding are tilted towards the rider for viewing convenience. • Rubberized base helps to protect bag contact areas on the motorcycle. • Capable of mounting with straps, magnets or a combination of both. 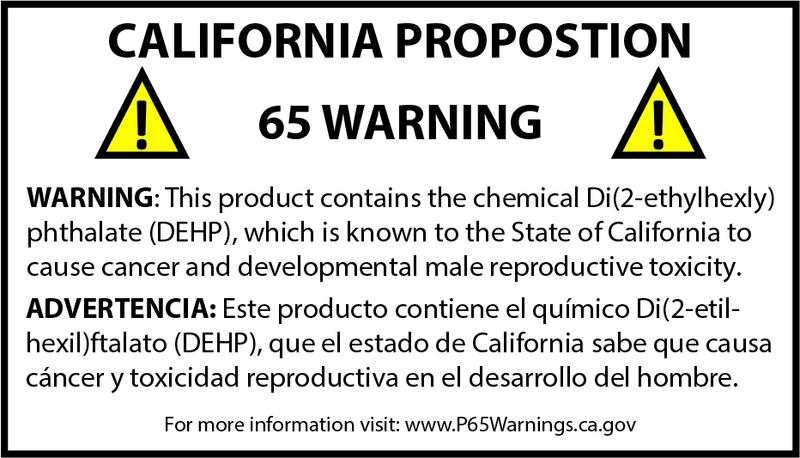 • 600 denier Carbolex® interior lining. • Easy access main storage compartment.